Get the edge over your competition; let your clients see inside your business via the web! 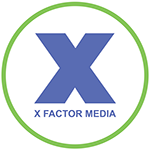 X Factor Digital Marketing is happy to provide its clients in NJ and NYC with Google 360 Business Photos; a panoramic 360 degree view of the inside of your location to be shown on Google maps. With Google 360 you can showcase your location to potential customers. From restaurants to hotels and venues, and every business seeking new customers, Google360 will give those searching on the web a view of your location. All you need is a Google+ business page to get started! Contact X Factor Digital Marketing today to discuss Google 360 Business Photos so you can bring in more people searching for your locations in NJ and NYC areas! For more information about Google360 Business Photos services in NJ and NYC, please call (908) 376-6291 to set up your no-obligation consultation today.